OneLogin OTP is a mobile application that provides a one-time-password (OTP) as a second authentication factor when you log in, in addition to your OneLogin password. Your administrator can require a second authentication factor whenever you log in, when you log in away from your office, or when you log in to particular apps. This article describes how end users can set up the OneLogin OTP app for Windows phones and tablets. For information about the OneLogin Protect app, which replaced OneLogin OTP for iOS (iPhone and iPad) and Android phones, see OneLogin Protect for iOS and OneLogin Protect for Android. You have installed the OneLogin OTP app on your Windows mobile device. Go to the Windows Phone Store, search for OneLogin OTP, and install it. Your administrator has enabled OneLogin (OneLogin Protect) as an authentication factor for the account. Your administrator has assigned you to a security policy that includes OneLogin OTP (OneLogin Protect) as an available authentication factor for the policy. Note: If your administrator has assigned you to a security policy that requires a second authentication factor, you will be prompted to register your Windows device when you first try to log in to OneLogin. The workflow is slightly different than what follows. Click your name on the far-right of the menu bar and select Profile from the drop-down menu. On the Profile page, go to the 2-Factor Authentication section and click the plus sign '+' to add a new authentication factor. On the Add 2-Factor Method dialog, choose the vendor OneLogin Protect and a device type of Windows. Although Windows Phones are still using the OneLogin OTP app, the vendor list displays OneLogin Protect by default. Your admin may have configured a custom display name. 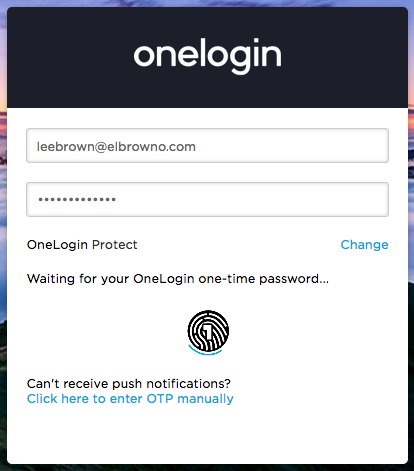 Open the OneLogin OTP application on your device. 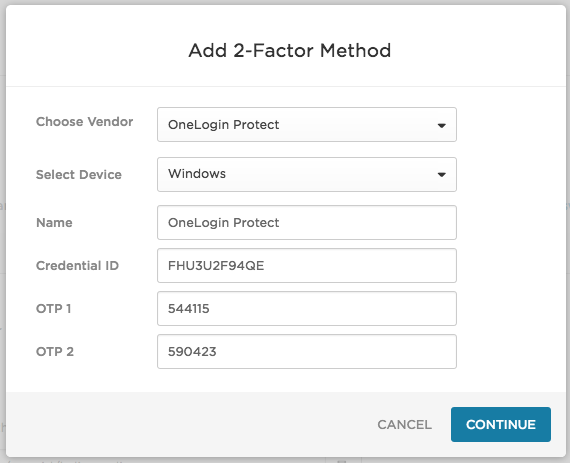 On the Add 2-Factor Method dialog, enter the Credential ID displayed in the OneLogin OTP app and two consecutive OTPs (one-time-passwords). Ensure that there are no spaces when you enter the codes. Your registered device now displays in the 2-Factor Authentication section on the Profile page. 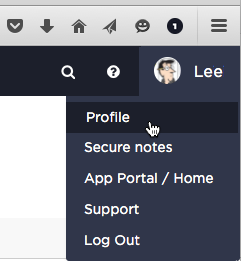 When you log in to OneLogin, the login screen notifies you that it's waiting for a one-time password. Open the OneLogin OTP app on your device and press the Send Code button. As an alternative, you can manually enter the 6-digit OTP code displayed on the app: just click the Click here to enter OTP manually link on the login screen, enter the code, and click Log in.